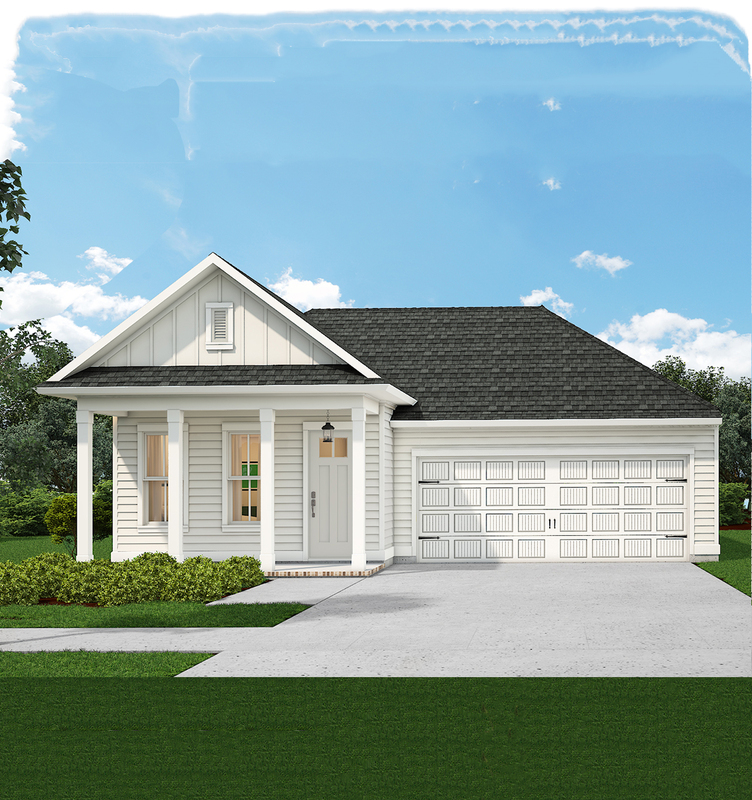 The Octavia is an edge floorplan with two architectural cottage elevation designs with front loading garages. 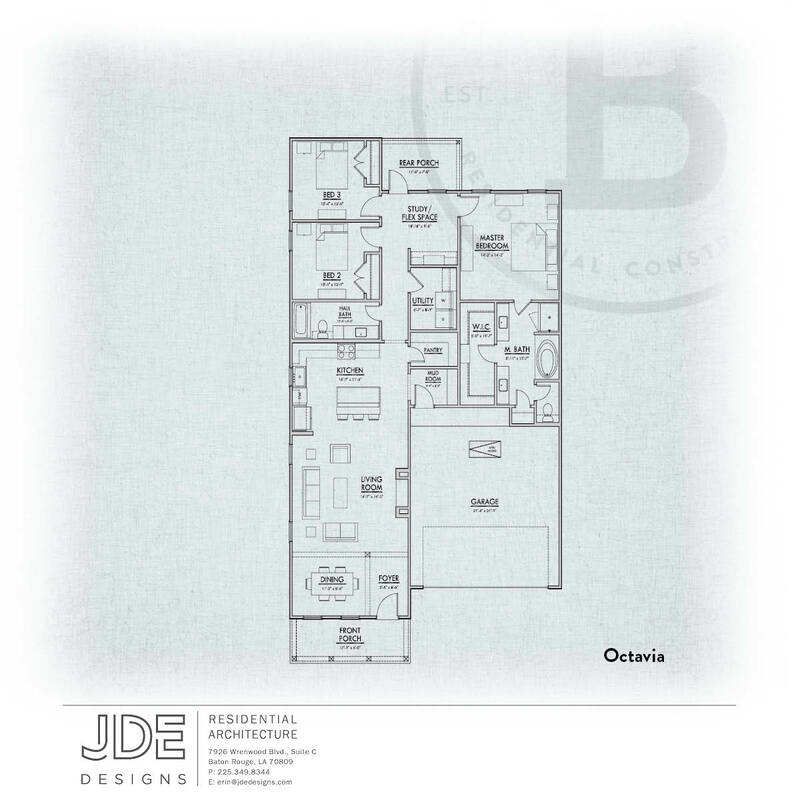 Three bedrooms/2 baths with foyer, open living room/dining room/kitchen, front and rear porch, flex/study space, mudroom and utility. Wood flooring in main living areas including kitchen and dining and tile flooring in baths and utility. Designer selected plumbing, color palettes, 3cm stone countertops, lighting, flooring, cabinetry, hardware to choose from with upgrade options.